Fabian Mejia: Looking for a good Linux mp3 player? When I installed Ubuntu, I found that the mp3 coded was not available due to licensing issues. I installed the codec, and some music applications under Linux, but I was really missing the simplicity and power of Winamp. 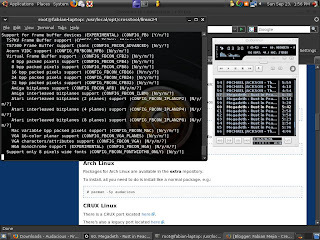 Seaching on the Internet I found a great application which runs under linux and is similar to Winamp. So similar that you can even apply the winamp skins. I am not sure if I am inside the appropriate thread. May anyone help out a newbeee? I want some trouble shooting with regards to a home theater amp. The speaker type is static. I assume that these types of loudspeakers behave differently in comparison with regular speakers. The impedance of the loudspeaker is a lot like a capacitor that makes the amp unstable. There's a deafening screeching sound being made. This won't come about with normal loudspeakers. What's the best way to remedy this? I heard that I can also include a load resistor yet wouldn’t that consume amplifier power? Can I utilize some type of transformer? I value your comments.